If you are like most job seekers, the mere thought of looking for a job between Thanksgiving and New Year’s Day is not on your radar. It may seem harder to get the decision-maker on the phone, and then there are all of those annual distractions from your family. We get that you may need a break but here’s some reasons why you should stick it out. There are tons of holiday networking parties happening right now. Use tools like Meetup or search your Linkedin feed for events happening in your city. Bring lots of business cards and stay visible. 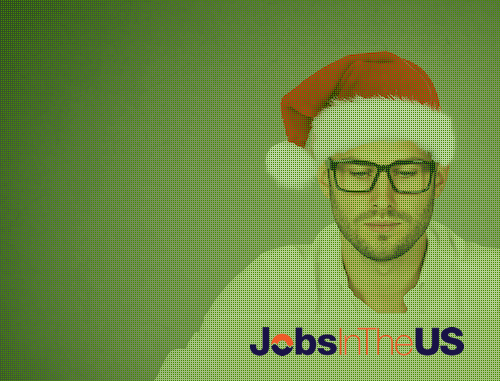 Many people think there are fewer advertised job postings during the holidays but that is really just a myth (here’s the proof). If anything, employers are busy posting jobs to get applicants ready for the new year. Stay on top of your email job alerts and be prepared to apply as soon as you see the job online. If the people who truly care about you won’t help you find a job, who will? You may only see Uncle Tony and Aunt Liz once a year, but make sure they go home from Thanksgiving dinner with a good idea of how they might help you. Use any free time to add to your LinkedIn, Twitter, Facebook or other social media platforms. Link to local job boards and job groups. Update any resume you might have in any online database, so that it’s fresh for the new year. Happy holidays and happy hunting from the team at JobsInTheUS!